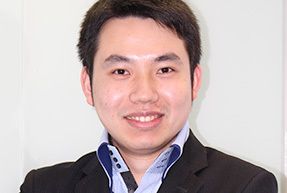 Jackie joined the Firm in 2013 and is based in Shanghai. He specializes in conducting research in private equity, real estate, professional services as well as banking sectors in Asia. Over the past 8 years, he has been continuously working with both domestic and multi-national players to build and revamp their senior leaderships in the region. The ‘right’ person for a role is discovered through deep and continuous market research. And that ‘right’ person is typically someone who can bring sustainable growth and performance to a company in Asia. DirectorJackie joined the Firm in 2013 and is based in Shanghai.